Images are, of course, the base data that you launch an instance off of. The concept is obviously not new to OpenStack and has been a key feature since the birth of cloud computing. It serves to optimize the virtualization process by de-duplicating the storage and I/O necessary to run an instance. 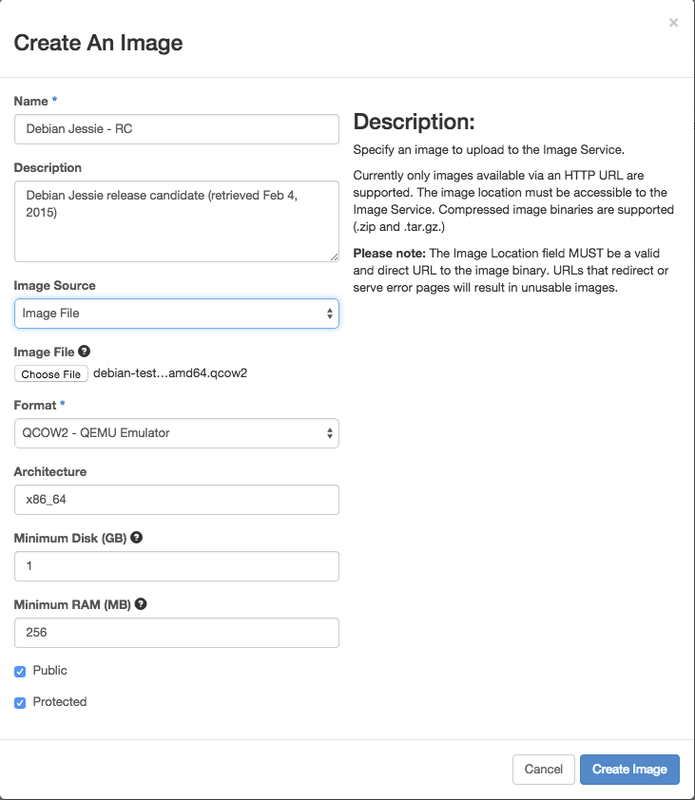 You can add an image into OpenStack directly via supplying its URL, or uploading directly from your machine. There are also other options, referenced in the manuals below. Here, we are uploading a Jessie image directly from the hard drive.